Since Onions are easily and readily available at every house holds preparing this will not be big task. This is easy to prepare and also make good snack or lunch for kids and good for health too. If you have leftover chappathi dough it will even easier. Try this once. Take one big bowl add wheat flour, salt, pinch of turmeric powder and water knead a dough like chapathi dough and keep aside for 5 to 10 min. In one plate keep finely chopped onion, mix of chilly powder ,garam masala powder and salt. Make lemon size balls from chapathi dough roll it like small puri. Then put chopped onion in the middle, sprinkle chilly mix cover it like potli (pouch). 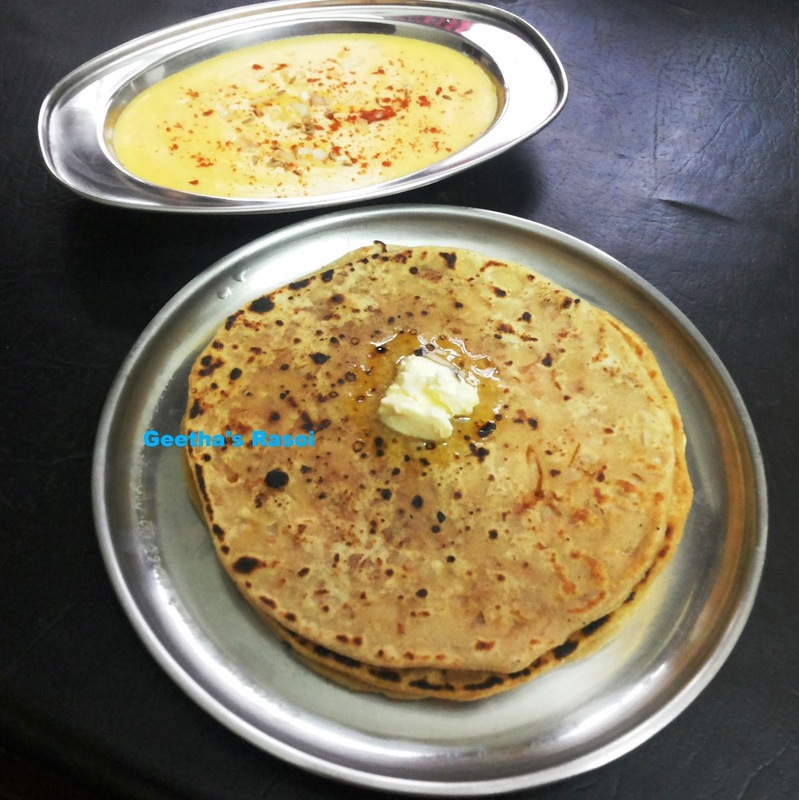 For the method of preparing potli kindly refer the Aloo paratha in my blog. Then roll it again like thick chapathi . Heat tawa fry both sides with butter/oil or ghee. Serve with curd, khadhi or any pickle.